The Yankees are hotter than hot and they roll into the friendly confines of Wrigley Field for a three game set this weekend. 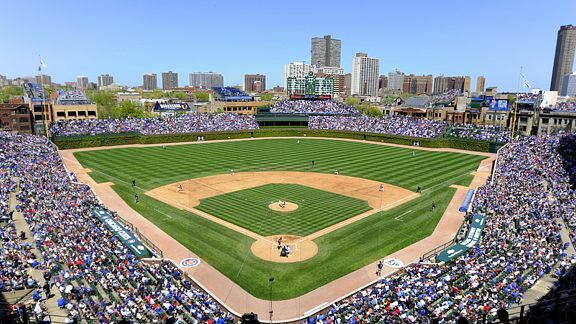 The first game will begin in less than an hour to continue the tradition of playing day games at Wrigley Field on Fridays. These two teams had different expestations coming into this season but now they both have the same goal of being the last team standing. The Cubs who won the whole thing last season have continued from right where they left off last season and look like a championship contender once again. They will try to continue on their pursuit of another championship this weekend. The Cubs won a World Series for the first since the Yankees came into existence. The Yankees will look to assert their dominance this weekend. The Yankees get back Gary Sanchez today and he will look to get back the spotlight. Sanchez, who was the centerpiece of the Yankees’ future, needs to regain the spotlight from Aaron Judge. Judge is among the best hitters in baseball right now, and he will love to continue his hot streak this weekend. This series could go either way, since both teams are so good. Whichever team wins this series, will have a nice springboard to continue the hot start into the rest of the Regular season.